Laboratoriebygget, Haukeland sykehus (Sentralblokken til høyre) Click image for overview. I am in office 5365 in the 5th floor of the Laboratory Building at Haukeland Hospital (click for map). 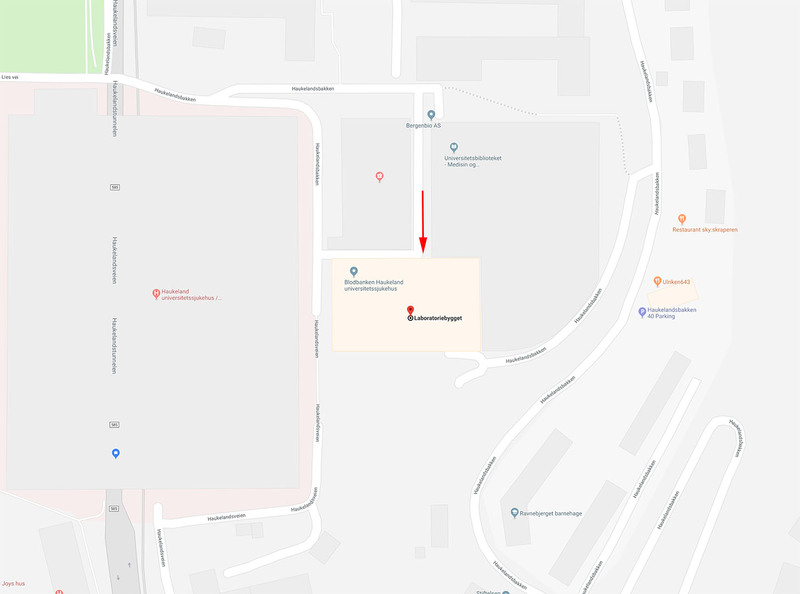 We have many locked doors, and the easiest is to go in between the Workshop Building (Verkstedsbygget) and the BB-building to our main entrance (under the arrow on the picture), and take the lift to the 5th floor (the cross).